Also known as industrial chrome or engineered chrome, hard chrome is, as the name implies, very hard—generally between 65 and 69 on the Rockwell Scale. It is considerably thicker than decorative chrome, with standard thicknesses ranging from 0.2 mm to 0.6 mm (200-600 µm); for extreme wear resistance requirements, it can be 1 mm (1,000 µm) or more in thickness. Because hard chrome plating does not have a leveling effect, increasing its thickness tends to magnify surface defects and roughness. However, this can be overcome by plating extra thickness, then grinding down and lapping to meet surface finish requirements. To compensate for non-uniform deposition (again, due to the lack of leveling effect), workpieces that are less than ideally shaped in regards to electric field geometries require thicker plating and accompanying grinding. This more or less applies to every part except spherical or egg-shaped ones. Depending on the application, hard chrome plating is subject to a variety of quality standards and requirements. Plating on hydraulic piston rods, for example, must be tested for corrosion resistance via salt spray testing. Accu Chrome Plating and Grinding offers full-service hard chrome coating solutions. 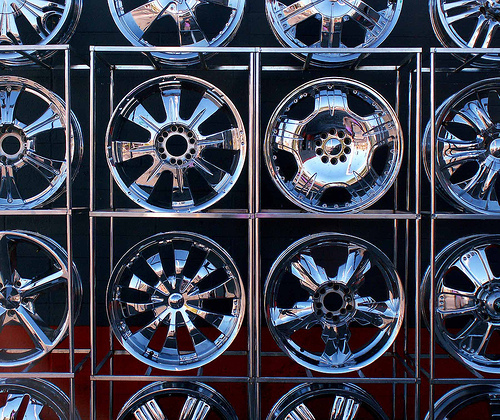 With nearly forty years’ experience, Accu Chrome offers high quality, high precision hard chrome coating, as well as grinding and restorative coating service to return worn parts to OEM specs.